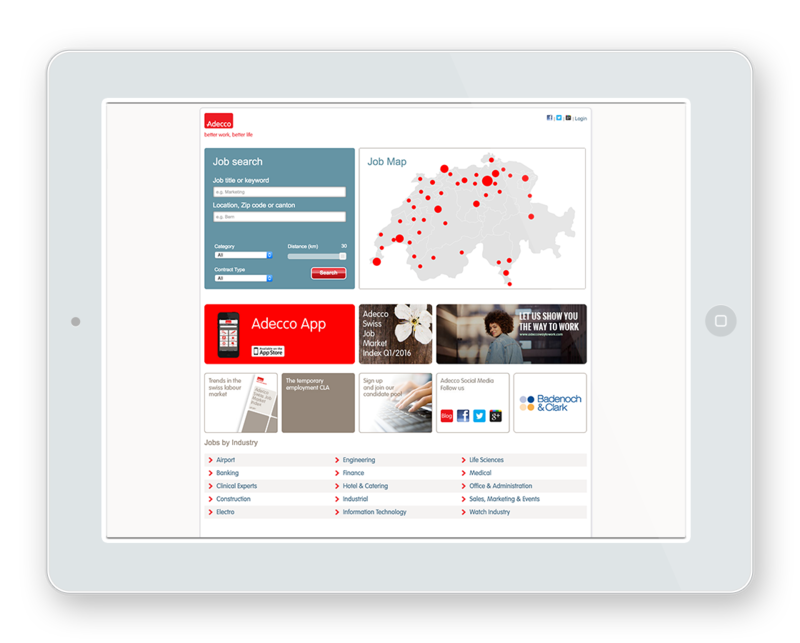 Adecco is an international staffing company headquartered in Zurich, and is active in over 60 countries. It is one of the world's best-performing companies in this field. The Regional Office in Switzerland has been using Clever Elements® for seven years now. It sends a quarterly mailing four times a year, and another two to three in addition yearly. Adecco therefore reminds its customers, and highlights certain events. The templates for the mailings were designed in the marketing department at Adecco. 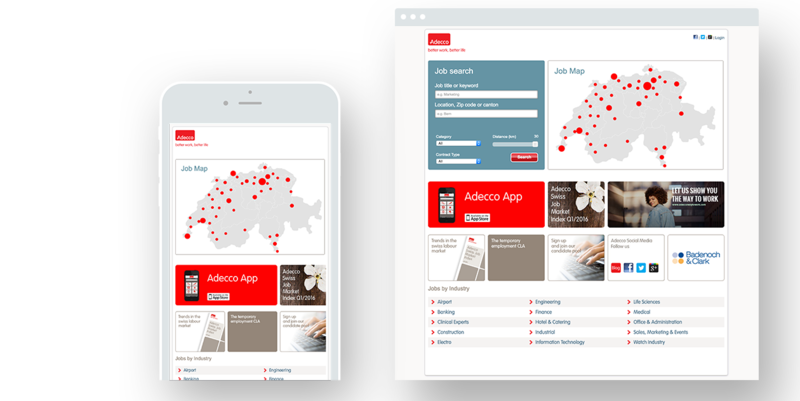 Clever Elements® created an email template from the design, as Adecco does not have the necessary in-house resources. The company values the intuitive and easy handling of Clever Elements®. After each email sent, it evaluates the approximately 5,000 to 6,000 emails mainly for bounces and other current data concerning the addresses. This enables employees to personally ask for reasons for cancellations, and allows them to come into contact with customers. "Clever Elements® is really a cool tool. We like its design. It is very easy to use and really self-explanatory," says Sonja Fehr. Service and support are also held in high esteem, since they are uncomplicated and functional. While the services for creating email templates were regularly needed, Clever Elements® support was rarely put to use, because the software was so intuitive and easy to use that there were no problems. The handling of sensitive data is required by law in the professional field of the company, and so it is natural that the same stringency is also applied when sending email newsletters. In this regard as well, Clever Elements® is a reliable partner for Adecco.